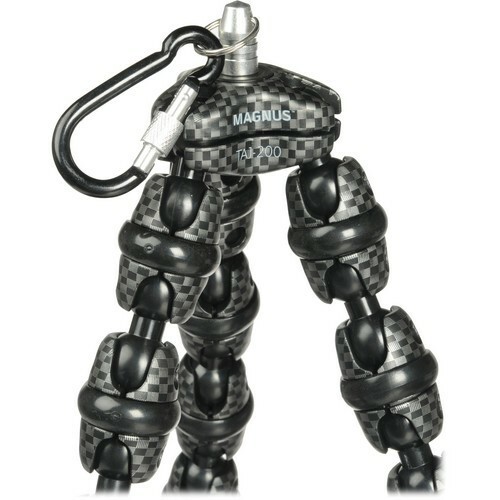 Flexible Legs Grip Trees, Pipes, etc. 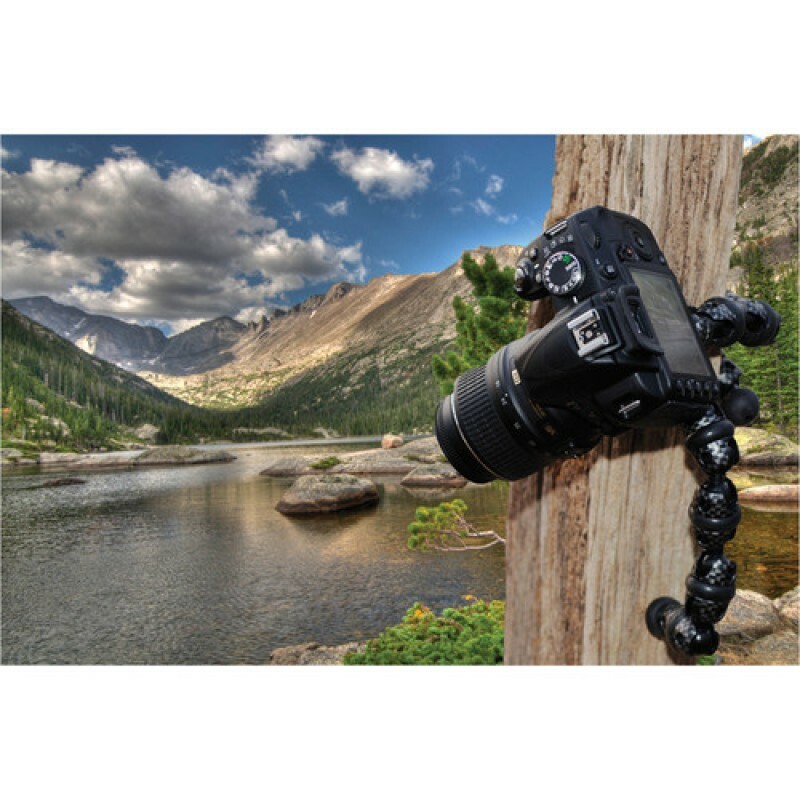 You'll never miss a photo for lack of a tripod when you have the MegaGrip Flexible Tripod from Magnus. It weighs only 11.8 oz--you can carry it with you 24/7. 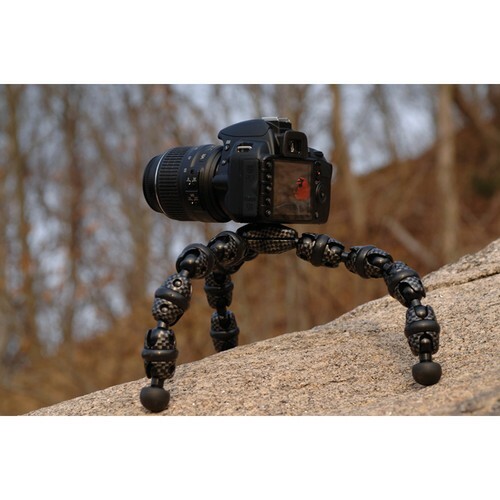 It has flexible legs that can be bent 360° to wrap around a fence, a tree branch, a chair leg or anything else stable enough to hold a small camera and small enough to wrap the legs around. It has an 8.5" maximum height and will support a typical light-weight DSLR, point-and-shoot camera, or pocket video camera, weighing up to 3.3 lb. The flexible leg's rubber feet give you a stable support when using the tripod traditionally, with all three feet on a flat surface. 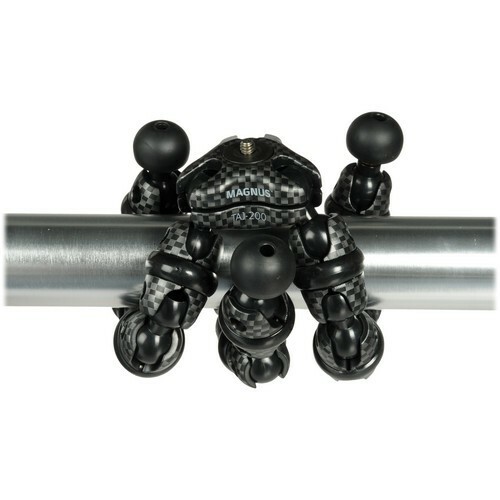 It has a standard 1/4"-20 mounting screw. Using the included Allen key, individual segments of the legs can be removed for cleaning or to change the height of the tripod. Lovely flexible grip tripod. I'm impressed that it holds cameras heavier than simple point-and-shoots. Also, it includes allen wrenches that allow you tighten or even remove segments. It is, of course, short and thus no replacement for a full sized tripod, but works great when used in hard to get at places or when attached to fences, railings, or even trees! For the price can't be beat, I would definity recomend to a friend.